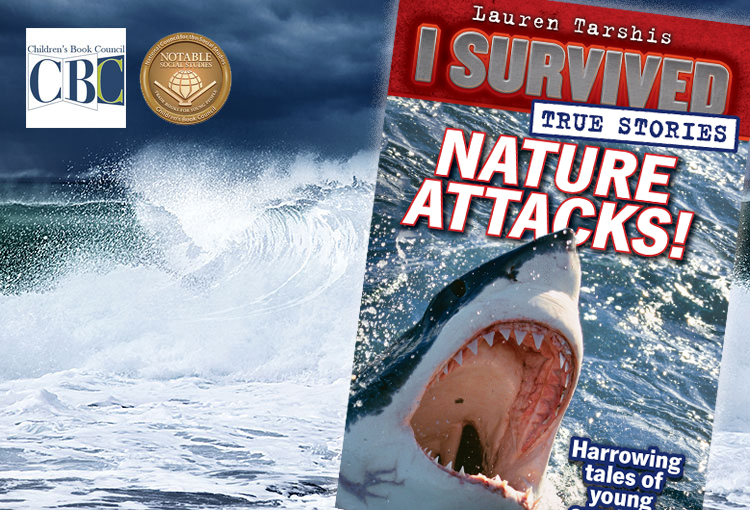 I am so happy to present the second collection of I Survived True Stories. In many ways, these stories are like the books in my I Survived series. They are exciting (at least I hope they are!). They required tons of research. They are about topics that are fascinating and terrifying. In these four new true stories, you will meet four incredible kids, each faced with one of nature’s most powerful and ferocious forces. There’s Joseph Dunn, who had a terrifying encounter with a massive shark in a New Jersey creek. There’s John Hoisington, who survived the deadly Mount Tambora volcanic eruption. You’ll meet John Kramer, who faced the Peshtigo fire, the deadliest in American history. Andy finally, there’s amazing Rachael Shardlow, who was stung by the venomous box jellyfish.